When oldest sister Shelby was living in Israel that same year, she discovered a new kind of tahini, one made from white Humera seeds from Ethiopia. It was smooth and creamy with a more nutty flavor, and different than the tahini available in the US. “There wasn’t good tahini available . . . so our solution was to start a company and bring it over!” Amy explains. And while the company started off slow, it’s definitely found success: in 2015, Soom tahini gained notoriety as the key ingredient in Philadelphia chef Michael Solomonov’s hummus. 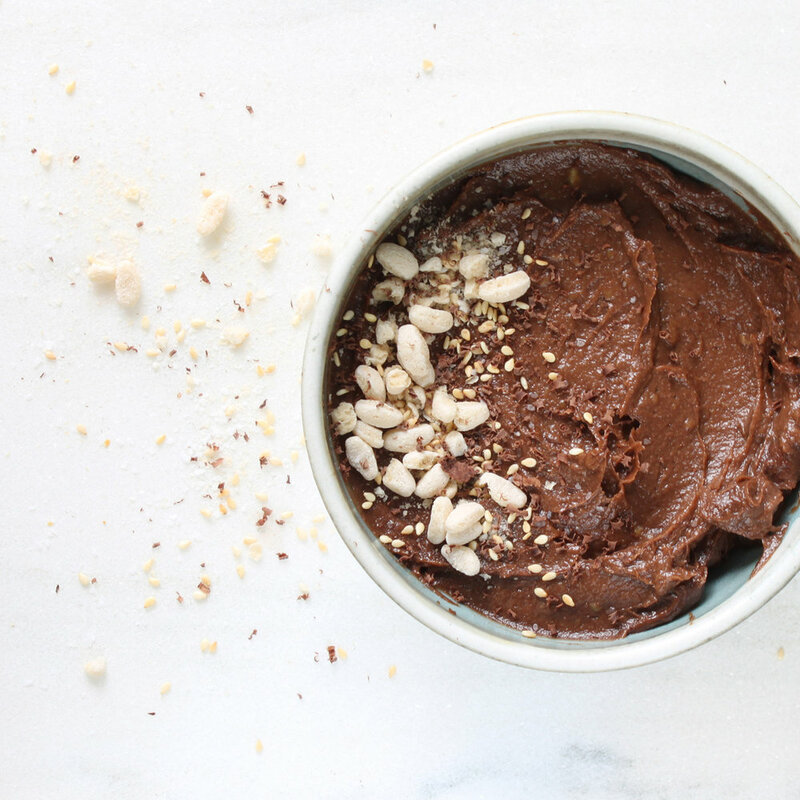 While this chocolate tahini is addictive enough to enjoy straight from the jar, it also helps make a wonderfully smooth and healthier version of chocolate pudding. If you’ve never tried avocado as a base for pudding, trust us, you won’t even know it’s in there. Cut avocado in half, remove and discard pit. Scoop out flesh and add to bowl of a food processor along with chocolate tahini, coconut sugar (or honey), vanilla extract, and salt. Blend until smooth and creamy, scraping sides of bowl as needed. Spoon into serving dishes, cover with plastic wrap, and refrigerate until chilled, at least 1 hour. Garnish with crispy rice cereal, sesame seeds, or shaved chocolate (if using) and serve. Makes 2 small, or 1 large serving. A healthy snack perfect for little hands to help roll (and eat). In a food processor, pulse dates. Add tahini, sunflower and chia seeds, and a pinch of salt and process until smooth. Using a small ice cream scoop, portion into bite-sized rounds, squeezing together slightly to form and roll into round balls. Place on a plate, cover with plastic wrap, and chill for at least 1 hour. Bites will keep chilled for up to 1 week.